Your internal computer components inside every Amiga computer are very sensitive. If powered with strong, unregulated current, they can easily get damaged. Thus, you should choose your power supply unit carefully when you are building your own computer. 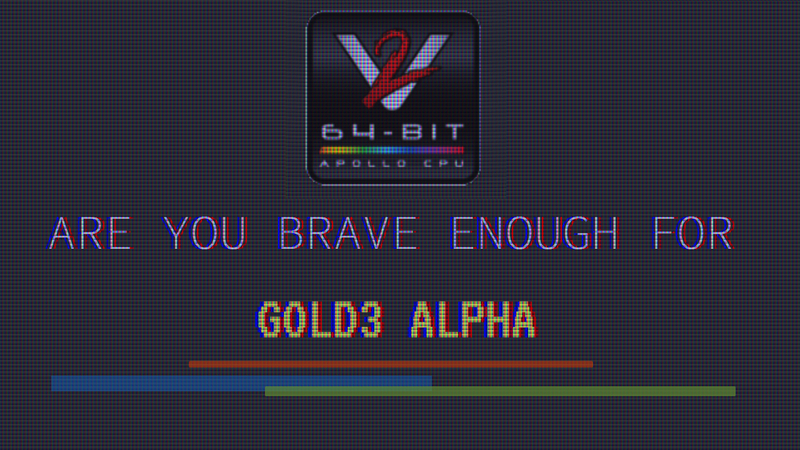 Once you upgrade your low-end Amiga computer. That machine needs more energy. Especially if you upgrade them with 68040 or higher CPU’s, Hard Drives and even CD-ROM equipment. Black PSU for Amiga that is tiny. The power supply unit, called PSU for short, is the computer hardware that converts raw electrical current from the power line into voltages that are safe for your internal computer components. Without a PSU, your internal computer components will get fried in no time. So, if you use a PSU that is too weak or one that is almost ready for the scrapyard. Then this new Amiga power supply replacement is really something that you should consider. 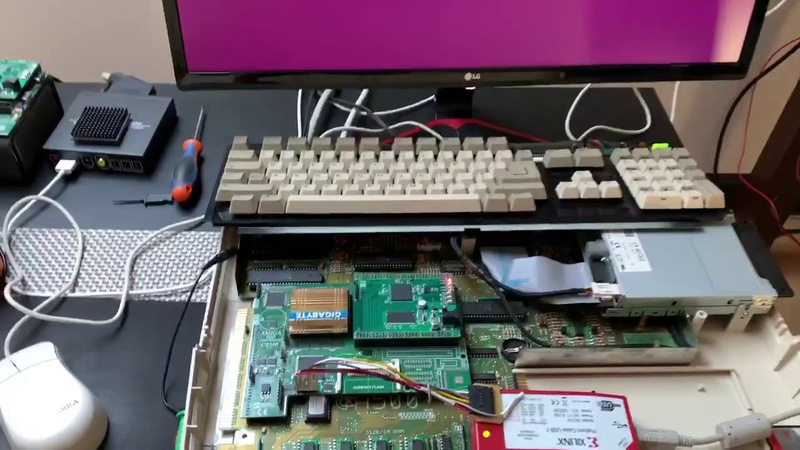 Because it is the Amiga’s internal hardware that is responsible for keeping your computer powered up. So, from now on! Never get a low-budget, low-quality PSU made by Commodore or ESCOM. Always be ready to pay for quality and this PSU which comes from C64psu.com is no exception. Amitopia have been testing it for over a week now and all we can say is that this product should have come out for classic Amiga many years ago. If your older PSU malfunctions if even for a moment, it can destroy a number of your internal computer components. Your motherboard, processor, RAM modules, Amiga motherboard chipset, and other components can and can be easily short-circuited if subjected to strong, unregulated current. But with this product you are safe. It fits into my arm! Cute little new PSU for Amiga. 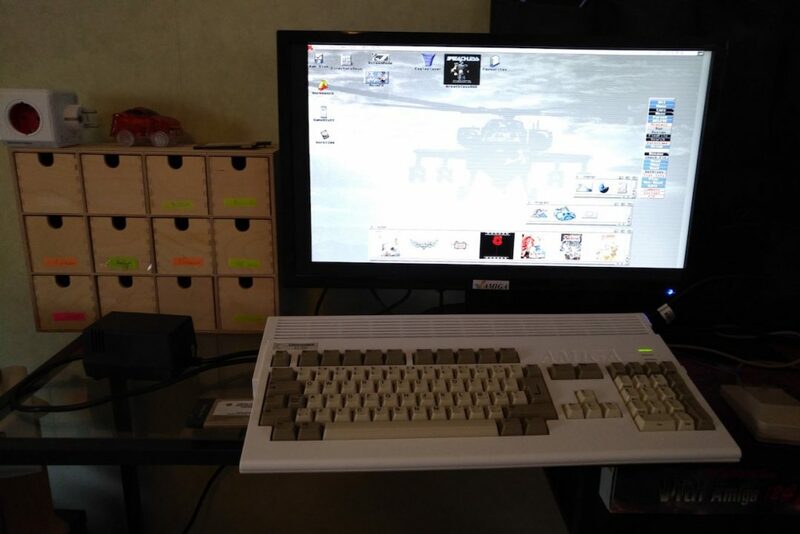 For this review I used two Amiga’s which is mentioned above here with specs info. I used them for playing heavy games like Doom and Breathless, playing MP3s and testing how much this new Amiga PSU can handle. The PSU became hot but thats it. The temperature level of it was at the same level as my Apple charger for my MacBook PRO Retina 13″. The black plastic coupes with the heat very well it seems. If you see a very affordable and seemingly powerful solution from an uncommon brand, it is best to be wary. Many tries to sell selfmade PSU solutions on eBay that I know have inflated power ratings. If you get these units, you will put all of your vital computer components at risk of improper voltage and an early demise can happen. If you don’t have much knowledge about voltage and power, then instead of hurting your low-end Amiga. Then this new product is a new Amiga power supply that is made by those that really understands how Amiga and Retro machines works. It is important that you do not overtax your PSU once you have finished upgrading your Amiga home computer. Severe electrical swings can greatly reduce its lifespan and thats something You dont want to happen. This product will increase the lifespan of your low-end Amiga a lot. This new Amiga power supply is Tiny! The size of this new Amiga power supply is so tiny that the weight is only 0.5KG. So, it’s not heavy. 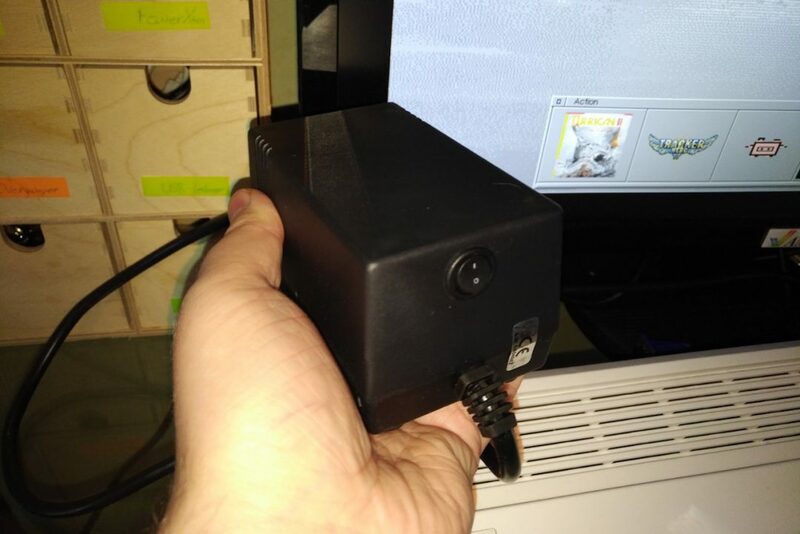 The PSU manages to do a total output of 50W (55W peak) which is nearly two times stronger than the original Commodore Amiga PSU that were made for Amiga 500. 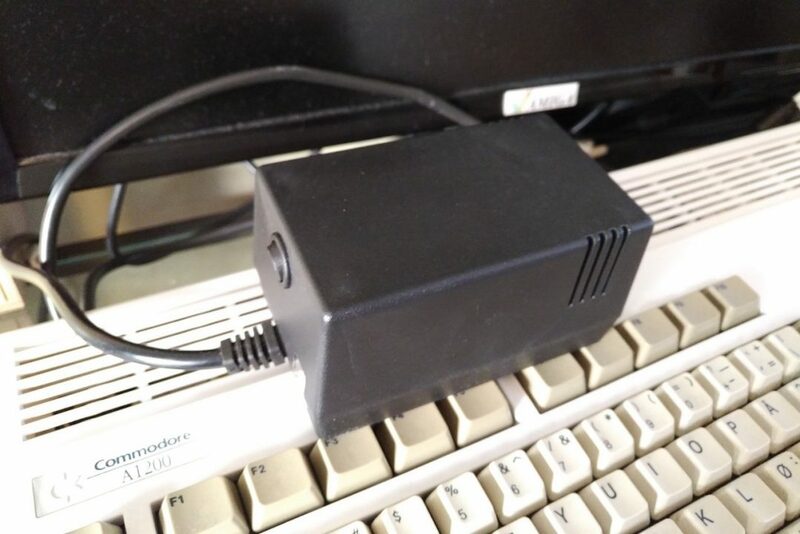 The PSU connector is also solid, so it doesn’t get loose after disconnecting and connecting it to the Amiga a lot. Many Amiga users like to upgrade. 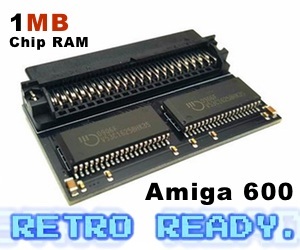 So this means that when people do upgrade or fixing something with the Amiga motherboard. Then we can say that the connector is well made. Only negative thing that I found was not about the power at all. You might think that I am too much obsessed with details. But on the c64psu.com the PSU got a Red button. The PSU that I’ve got doesn’t have that. It is just a Black button. This detail might not be important for you but for me it is the details. When I am buying a product. I really want the product that I see displayed on the picture. Advertised with red button but the one got a black button. Difference! When I ordered this PSU there was no option for choosing power button color neither. A small detail, but a important one. Especially since the pricing is set at 54.99 EUROs too. If you aren’t so detail obsessed as me that just want more power. Amitopia recommends every low-end Amiga user to get this new PSU. 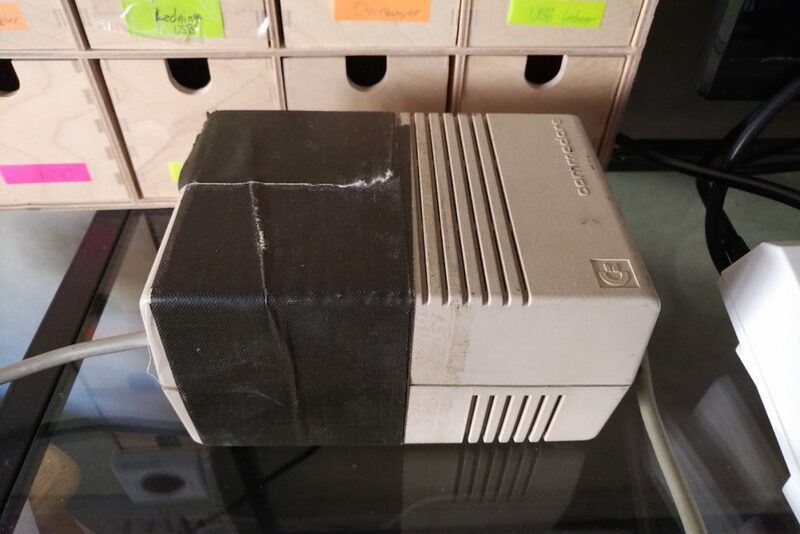 In the picture below I wanted to include how one of my Commodore Amiga 500 PSU’s looks like. 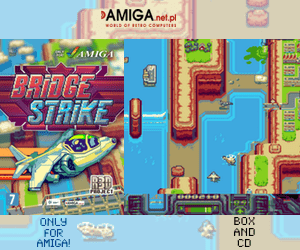 So, this is a worthy update for your Amiga all in all despite the minor details from my side. What sort of Amiga PSU solution do you prefer?